Plannig a Baja trip? a region of contrasts, of high sierras that transform into deserts that end in the sea. A place like no other in the world. Situated to the northwest of Mexico, we are one the the destinations with more unique features and experiences; Baja has such a unique identity thanks to its geographical location that allows a gastronomic fusion that captivates, incredible landscapes that stretch from the “The valley of the giants” desert in San Felipe to the colorful Valle de Guadalupe and to the cliffs that overlook the Pacific ocean. 1)The most important contemporary gastronomical movement in Mexico. Today, 32% of tourists that visit Baja arrive because of the cuisine. The growth and international recognition are evident. More than 80% of craft beer in Mexico is produced here, 5 times consecutive winners of “best craft beer” and “best beer” award. Even more, Baja has the most dynamic urban kitchen movement in the country with 120 food trucks and 26 food gardens. Besides having more than 90% of the production of wine in Mexico. One thing you can’t miss is the emblematic Caesars salad in Tijuana, Puerto Nuevo’s buttery lobster deliciousness, super fresh seafood tostadas in Ensenada, oriental cuisine in Mexicali, Tecate’s bread and the signature cuisine throughout the state – Where creativity and fresh ingredients from the region stand out. 2)Border identity, a breeding ground for great talent. The richness of our culture begins with the first settlers of this land… nomadic groups and misiones established by the Spanish missionaries. The 1800s brought a migration of Russian escaping the Revolution, the colony still exists in Ensenada. There is also a strong English influence as England had the concession and solely rights of the Ensenada port usage. 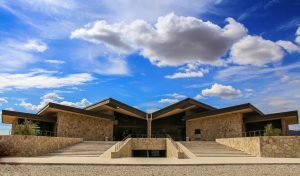 The history can be appreciated in museums throughout the state like Museo de las Californias of CECUT in Tijuana, Museo regional de San Quintin, Museo Semeel Jak in the Sierra de San Pedro Martir and the Museo del Valle de Mexicali. Being a dynamic border, influence from all over the world combine together to create one true identity. Several cultural venues CECUT for example, where one of the most influential cultural festivals in northern Mexico takes place: Entijuanarte, attracts more than 100,000 persons per year. Some other venues that you cannot miss are the house of culture in Tijuana, the historic city center with its corridors (pasajes), CEART in Mexicali and Ensenada, the community museum in Tecate and the wine museum in Valle de Guadalupe. 3)The world’s aquarium; A natural spa to disconnect from everything. South of Mexicali, San Felipe, the door to the Sea of Cortez, “The world’s aquarium” and Costeau once said. With some of the hottest climates in the state. From here yo can enjoy warm waters and fine white sands. Also, a visit to the valley of the giants if a must, with giant sahuaros that can reach 50 feet high! – thermal waters and star-filled skies in Puertecitos. There you will find two paradises; Bahia de los Angeles and San Luis Gonzaga. We recommend taking the boat tour to the nearby islands as well as hiking. Furthermore, you will have the opportunity to watch the whale shark and can even try out some sport fishing trips. Kayaking, snorkeling, and windsurfing are a must! 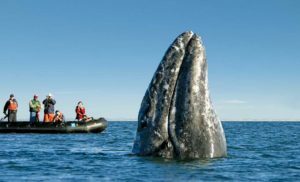 Ensenada, also known as the Pacific’s Cinderella, its coasts are the natural corridor for the grey whale that takes the rip each year traveling south in order to breed its calves. This occurs from December all the way up to April; Boat tours depart from Ensenada that take you to open sea where you will watch sea lions and dolphins and if lucky even whales. The trip is an experience filled with relaxation and tranquility. If you are seeking a greater adventure you can drive all the way down to the Lagunas where the whales have their babies. San Ignacio and Ojo de Liebre are some. 5) The best spot in Mexico to watch the stars. Baja travel at its best! 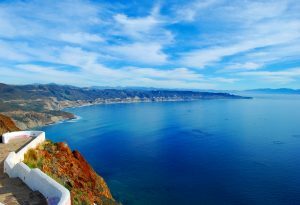 6 hours south of Tijuana and taking the Ensenada scenic road, this journey will take your breath away. From the intersection and the San Telmo town, 70 miles of incredible beautiful scenery awaits you. Filled with vegetation, mountains, and trees. Furthermore, upon reaching the Sierra de San Pedro Martir you have to option of renting a cozy cabin or if you prefer to camp there huge open spaces surrounded by coniferous Pine trees. Observing the night sky here is such a treat due to the lack of light pollution. The most star-saturated night skies. At the Astronomical National Observatory, you have the option of taking the tour from 9 am to 2 pm. You can watch the work of the astronomers, ranked 3rd in the world as the greatest places to watch the night sky due to the altitude and its remoteness. If planning a road trip to Baja or Mexico remember US insurance does not cover in Mexico anymore. We offer the most complete Mexican Auto Insurance at low prices. Next story Can foreigners own property in Mexico? Previous story 7 tips you must follow in case you get pulled over in Mexico.